Looking to spice up your space? 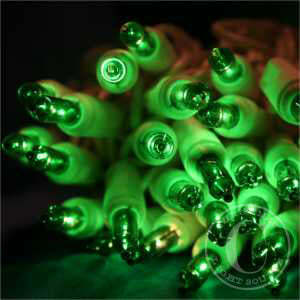 Green Christmas lights really aren't just for Christmas anymore! They are one of the most versatile colors of lights strings to keep on hand. Each Christmas light string is equipped with 50 bulbs, spaced at 2.5 inches apart. This spacing works well when more light is needed in a small project. White wire blends in with lighter trim around windows and doors. It also showcases beautifully with white fabric or bunting at weddings and receptions. Up to 10 sets of these Christmas lights can be run in a series. That's 100 feet of lights without having to grab that second extension cord. 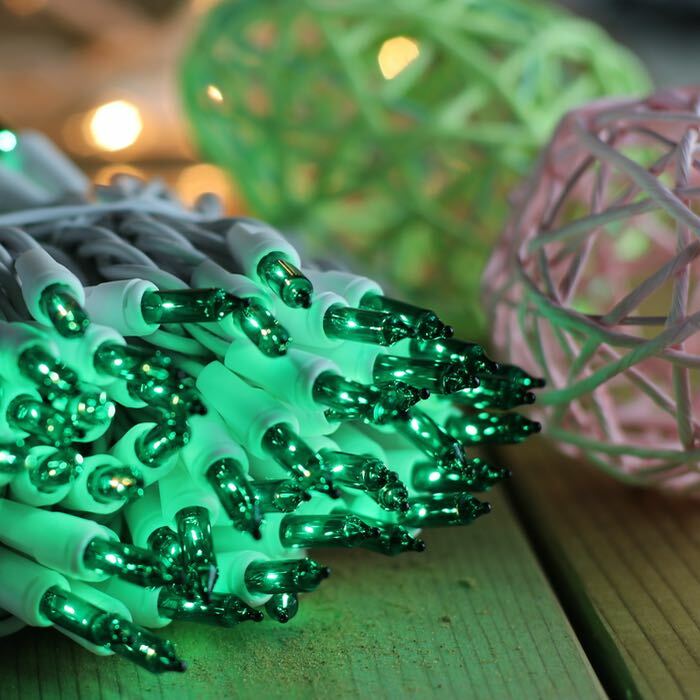 How are you using green Christmas lights to add sparkle to your life? Send us a photo! How many lights can be on a breaker? How many Christmas lights should I hang on my Tree? Half of my string of lights went out, What do I do? If I remove a Christmas light mini bulb will the others stay lit?